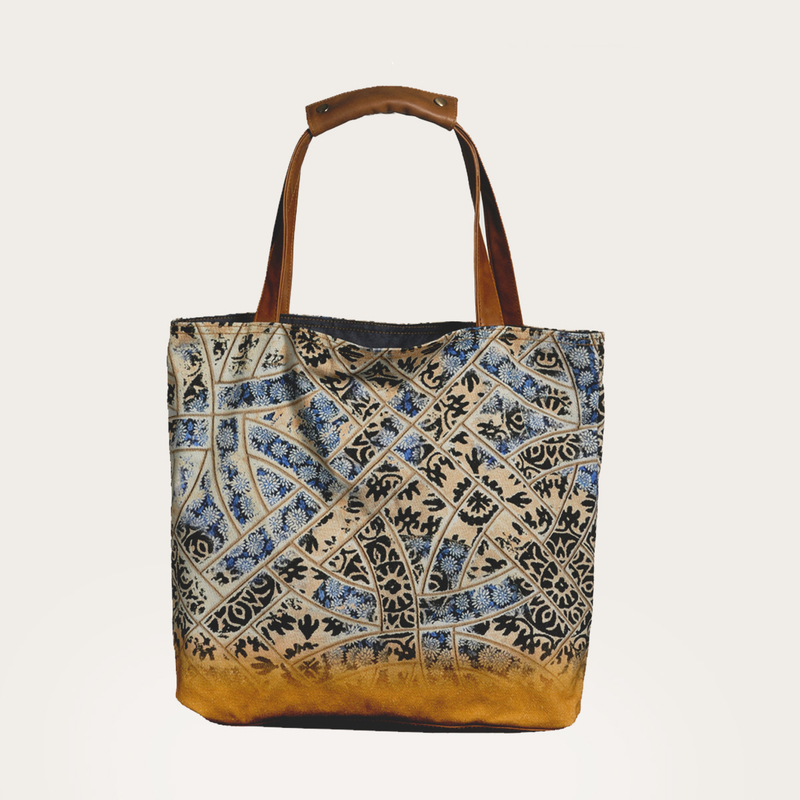 Inspired from Blue Pottery art of Jaipur this smart tote bag is quite a style statement. 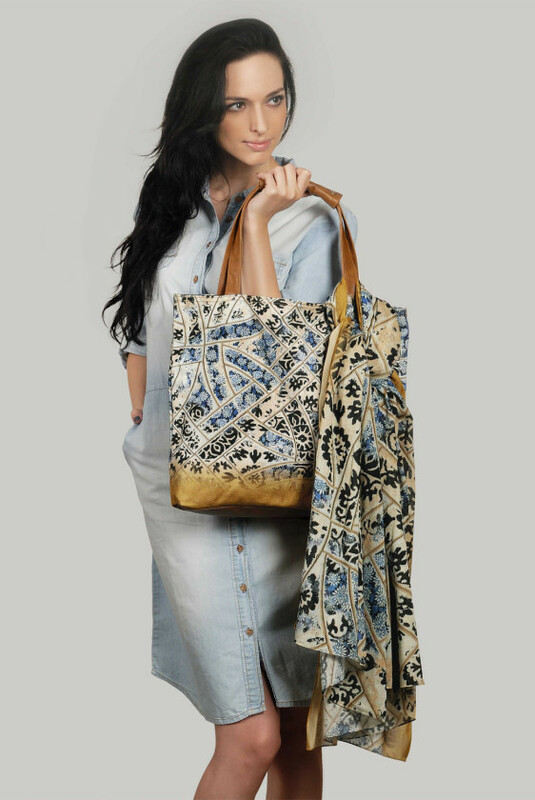 Team it up with our matching scarf and make heads turn!!! 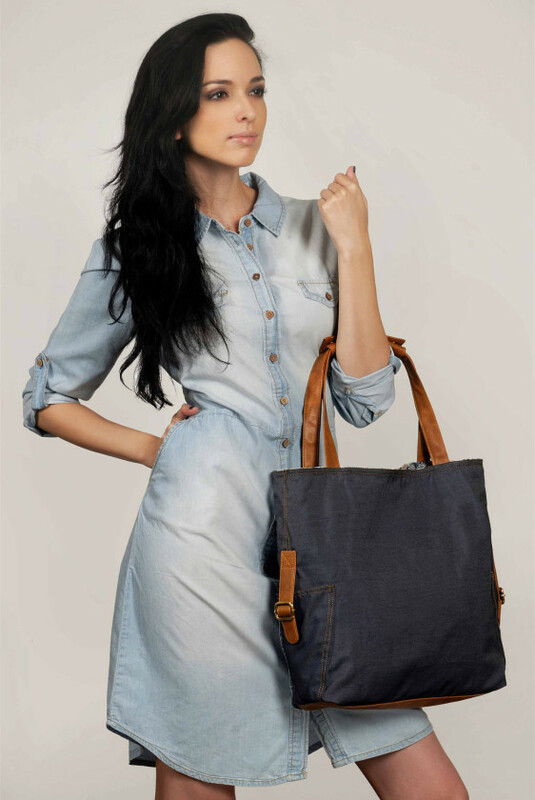 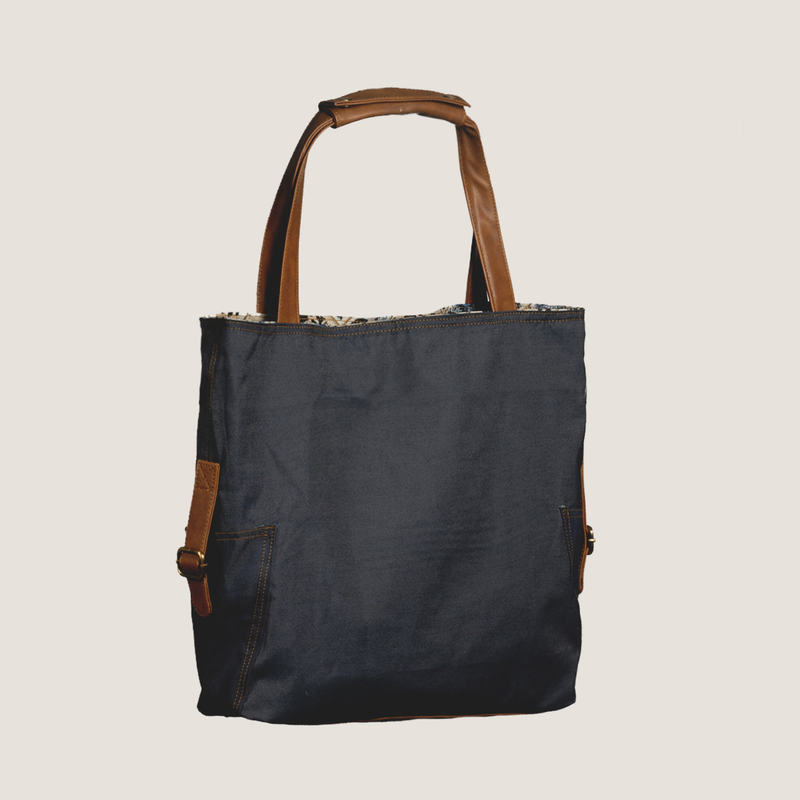 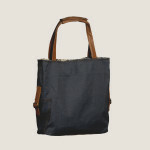 You can also turn the bag inside out to find yourself using a completely different looking denim bag!!! 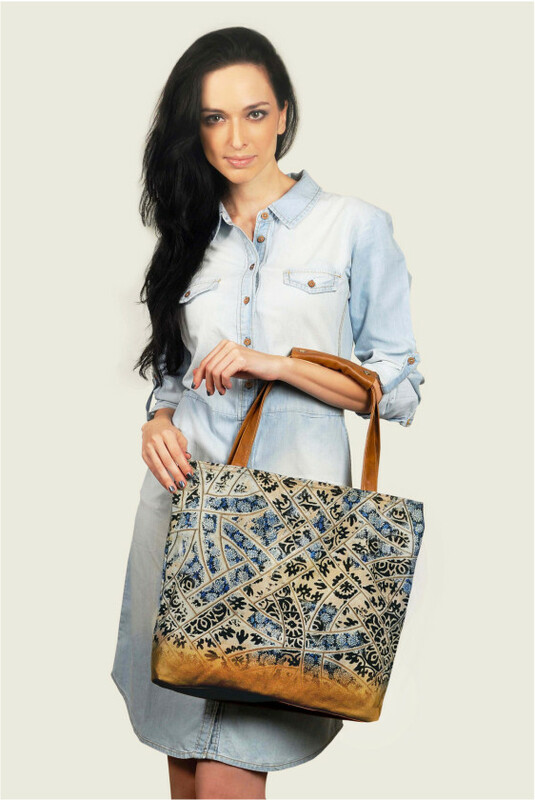 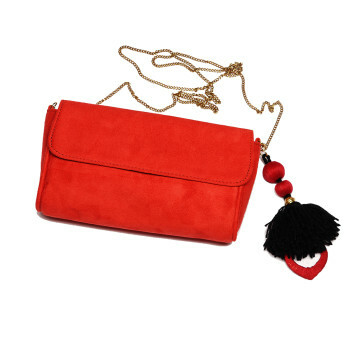 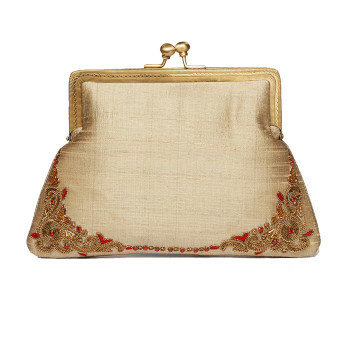 A smartly designed reversible bag to brighten your summer!!! 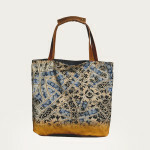 Be the first to review “MUSTARD DIP DYED JAIPUR BLUE POTTERY REVERSIBLE TOTE ” Click here to cancel reply.